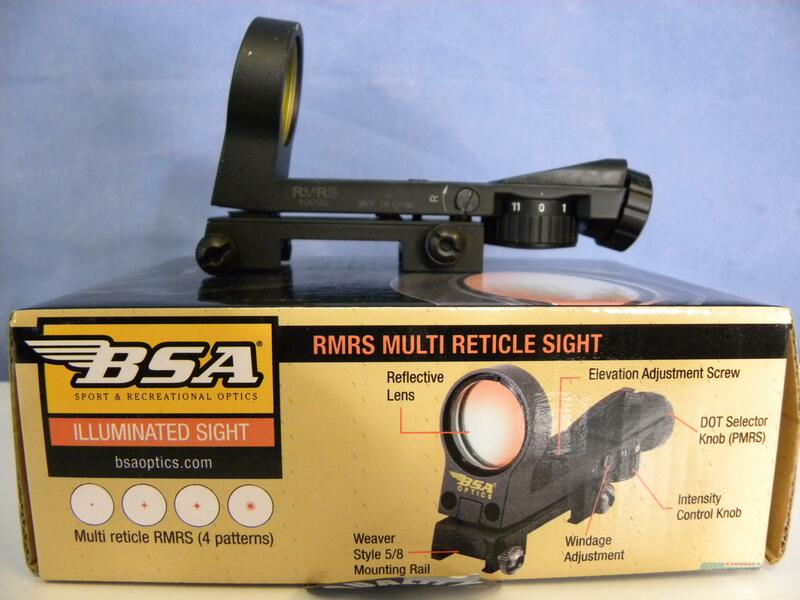 Description: This is a BSA RMRS multi-reticle sight. This is a lightweight and durable design with an open field of view. There is zero parallax out to 50 yards and a 41 foot field of view at 100. This sight is fully adjustable for windage and elevation and is designed for weaver rail mounts.